We are often described as being a Russian hair supplier but with our processes we guarantee to supply even better with the lusciouslox technology processing that has been a trade secret of lusciouslox and no one can duplicate. 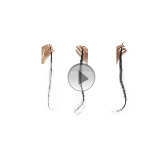 This advanced system is specifically engineered to provide the SMALLEST REUSABLE hair extension procedure. The Lusciouslox ring is up to 90% smaller and less detectable than any other ring system. This is the worlds smallest micro ring/tube system desinged to provide maximum undetectabilty and camoflage. 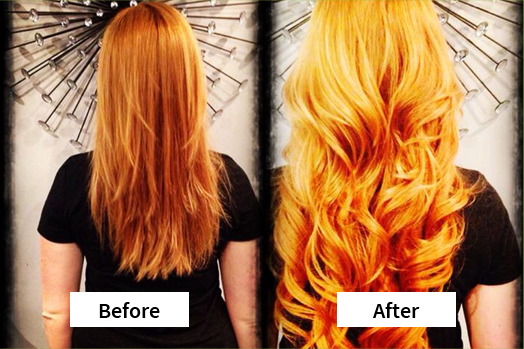 This Lusciouslox ring system allows the hair extensions to be re used while maintaining the clients hair. 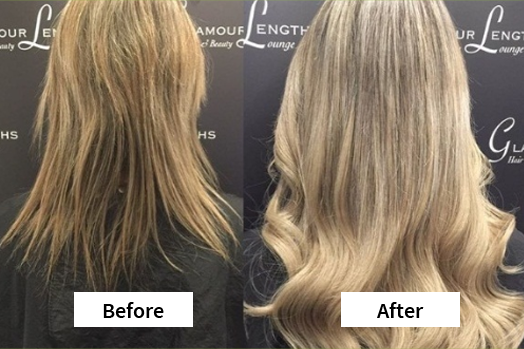 So the extensions stay the same but we have managed to improve the design of the hair extension thus making it easier for you to achieve a thicker more natural result. 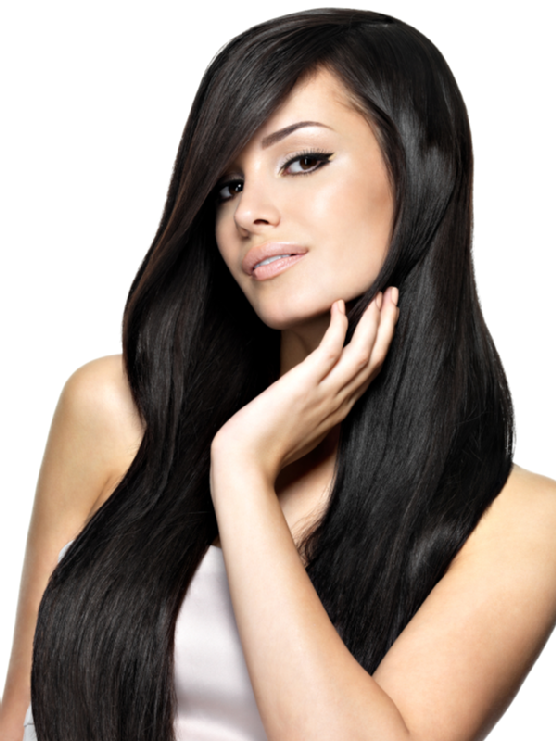 Here is a few images of a girl that had 80 extensions in our double thickness strands. Her hair was very short so it was decided to use the double thickness extensions. This result isn’t too bad considering only 80 strands were used and the customer didn’t want them all the way to the top. 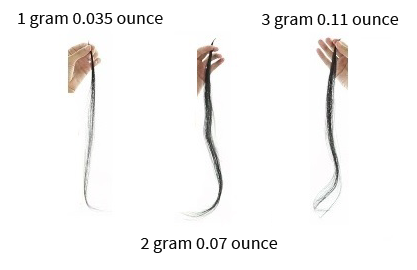 These images help understand how thick the doubles strands are and how they compare to 80 normal strands of hair extensions. All this while using our smallest micro ring technology. Lusciouslox can be purchased form our online shopping cart. Luscioslox also provides a re-tipping service. Just visit the re-tipping page.